Associated Hearing Professionals will take you to a world of better hearing! In the medical field, audiologists are the clinicians, doctors, and therapists that provide health services geared towards maintaining aural health. From hearing impairment to hearing aid fittings, your ideal audiologist will be able to identify, assess, and diagnose your condition. The audiologists and office staff at Associated Hearing Professionals are highly trained and exceptionally friendly. We understand that for many, visiting a hearing doctor can be a stressful experience. Our comfortable office surroundings and compassionate hearing healthcare professionals will ease your concerns. Our hearing aid providers have over 70 years of experience in bringing the best possible hearing care to the St. Louis, MO metropolitan area. We offer the highest level of personal care, providing each patient with the individual attention they deserve. Margaret Juelich, Au.D. has over 35 years experience treating hearing loss in the St. Louis area. 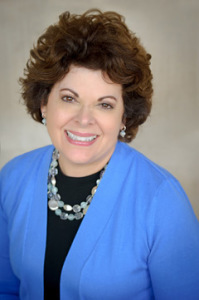 Dr. Juelich practiced at Washington University School of Medicine for over 20 years, where she served as supervisor of the audiology program. 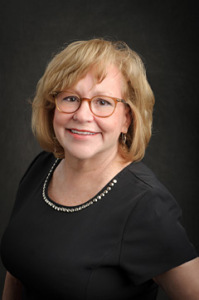 She was honored to be the 2010 recipient of the Missouri Academy of Audiology’s prestigious Margo Skinner award, and she is the past president of the Missouri Academy of Audiology. Tina McWhorter, M.A. has over 35 years experience in the hearing healthcare industry. Having worked in both clinical and industry settings, she has a unique combination of skills in direct patient care, professional training, technical support, and practice management. In addition to their academic qualifications and experience in the field, our team is among the most experienced with the Lyric hearing aid in the St. Louis area. Our offices in Chesterfield and Clayton are also easily accessible with front door parking. The audiologists at Associated Hearing Professionals are truly passionate about improving health and quality of life through better hearing. Improve your hearing, improves your health, improve your happiness! If you are looking for a hearing doctor or hearing aid provider, fill out our online form to contact us today.